24-year-old Potshangbam Victori D/o Potshangbam Mangi of Khurai Thoidingjam Leikai is a budding entrepreneur who prepares different products of pickle and candy. 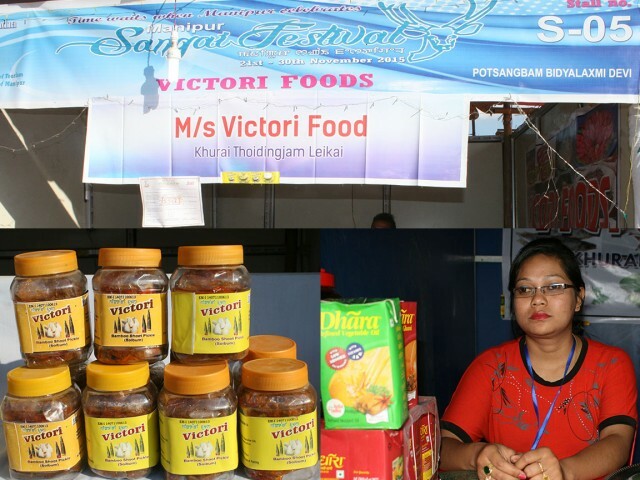 Under the brand name ‘Victori Food’, she prepares about 20 items of pickle and candy items of different flavours. 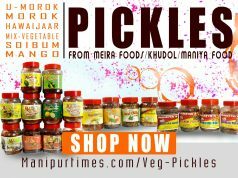 Presently, the farm produces pickles made of fish, chicken, Ngari, Thumyakpi and Khajing, soybean, garlic, amla, gooseberry, Khajing, Soibum, Umorok, mushroom, Hawaijar Akangba, mustard leaves, olive, Heimang Makup, Heitup, Mangge, Heining, Morok Atekpa (fresh chilly). Candy items made of dry fruits like wild apple, pineapple, mango, amla (Indian gooseberry), olive, plum, tamarind, Heibung etc receive good demand from costumers. The young lady was motivated to initiate such a food processing industry after she joined one year course on preservation of fruits and vegetable at ITI Imphal in 2011 and one month long training on food processing industry from DIC Imphal East. She passed her matriculation from Sacred Heart Higher Secondary School, Porompat and Class XII from EK Higher Secondary School, Sangakpham and BSc degree in Zoology Honours from Biramangol Collge, Sawombung in 2011. 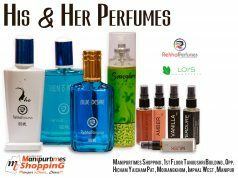 With full support from parents and brother, she runs her business successfully. 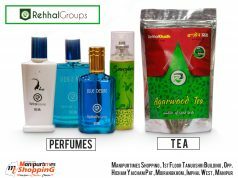 With the demand of her products on the rise, she endeavors to meet the increasing costumers’ demand by inducting some more local women workers. Installation of a sealing machine for packaging of the finished products is a also ready at her firm. So far, she has not received any financial support from the Government. 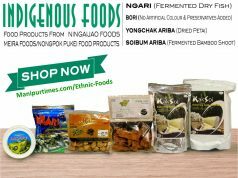 “People of the state are using various processed food items imported from Moreh and others. If the people encourage the local products, business of the local entrepreneurs will grow. 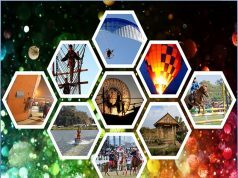 Extending support to local entrepreneurs will improve the economy of fruit farmers, apart from contributing to state’s economy and generating more employment opportunities in the state is facing severe unemployment problem,” observed she. The products of Victori Foods are made available at various retail outlets of Imphal, Lamlong Bazar, Konung Mamang, Singjamei, RIMS road, Lilong, Porompat etc. 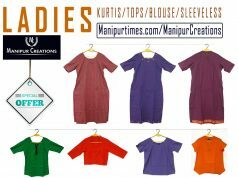 The products, sometimes, reach cities like Guwahati, Delhi and others, she said. 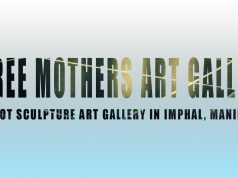 Three Mothers Art Gallery : A root sculpture Art Gallery in Imphal, Manipur.